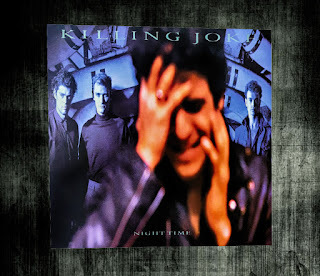 My introduction to Killing Joke came with the singles from 1985's Night Time album being played on the radio - Eighties, Love Like Blood and Kings & Queens. This album is a great mix of their earlier post-punk sound mixed with the new wave of the day. It manages to be relatively commercial without any conscious effort to be pop stars. KJ are one of the few bands to emerge in the 1990s and 2000s even more ferocious and still pushing boundaries. 1986 - Adorations (The Extended Mix) 12"